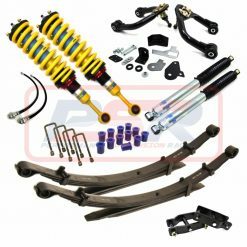 2x Rear Fox 2.0 Performance Series Smooth Body Monotube Shock Absorbers. Fox’s bolt-on, Performance Series Coil-over IFP shock is loaded with advanced technology and a long list of features that set it apart. The precision, metal impact extruded aluminum body increases cooling capacity and is rust resistant. The vehicle-specific upper mount includes a composite bushing that isolates noise and vibration. Locking, spring preload rings that allow easy ride height and preload adjustment retain a top quality racing coil, selected to deliver the optimal spring rate. 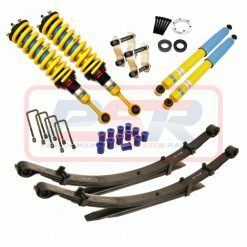 Performance Series Coil-Over IFP shocks bolt on with no modifications and are designed to level your truck front-to-rear..